Melt crayons on a canvas. 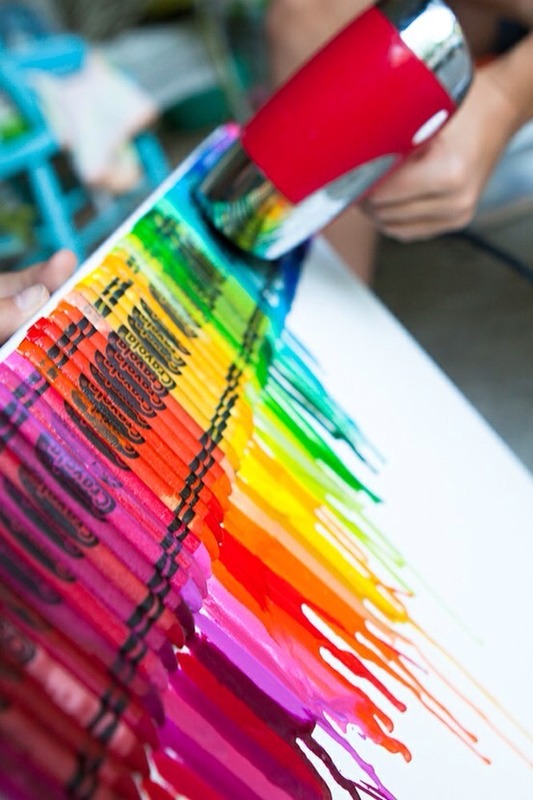 Hot glue them all in a row and melt them using a hair dryer. Glitter is always a good way to update your room a little bit! 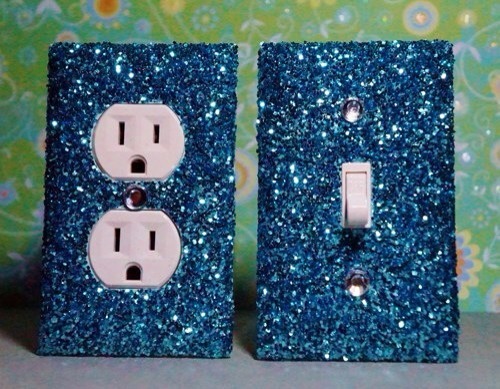 Take your plastic outlet covering and put a layer of glue over it and then add glitter. Simple and very cheap!! 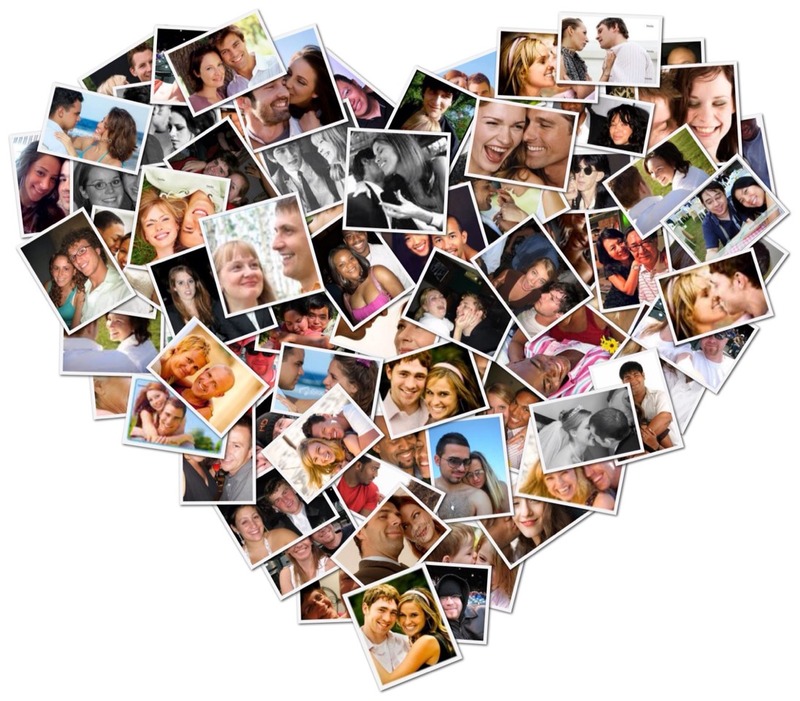 Make a collage out of your favorite photos/newspaper clippings! Put the pictures/newspaper clippings in the Desired form you wish then hang it on your wall!